All Out Effort Blog: Why Would You Neglect Sleep? 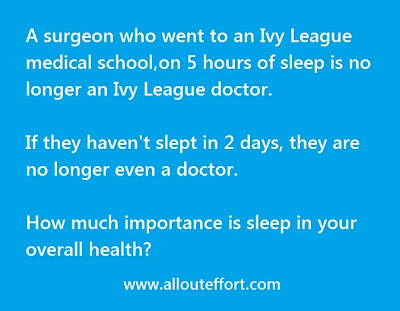 Why Would You Neglect Sleep? A big part of our philosophy is on efficient living. An often neglected part is rest and sleep. Some people want to train all day and neglect sleep and assume their bodies will magically change. 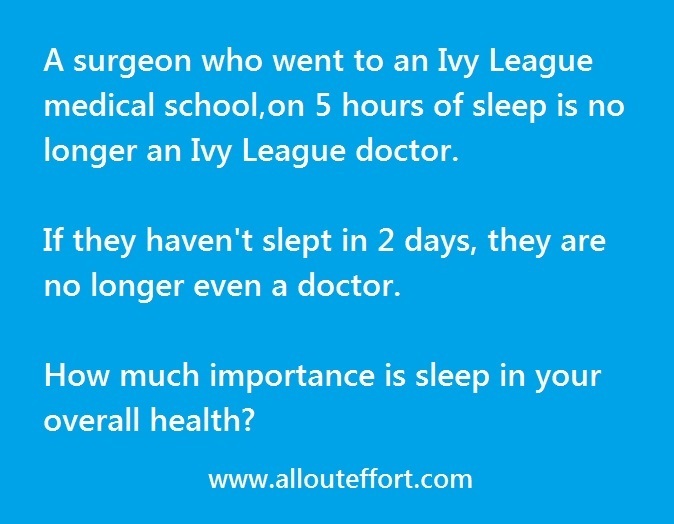 Just as much as you wouldn't go into surgery with a doctor who hasn't slept, you should not expect miracles from a body that is sleep deprived.